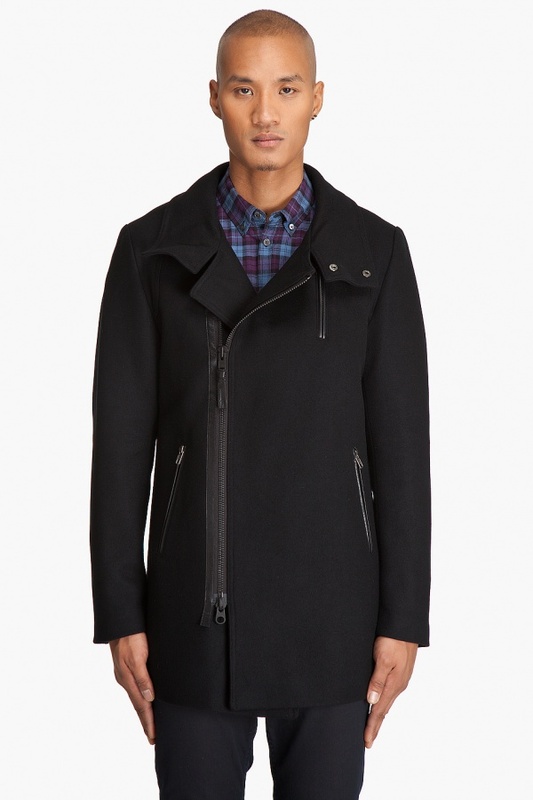 This Mackage Daniel three-quarter length coat in black features a press stud flap collar and off-centre exposed zip front closure, with leather and twill trim. It is also quipped with leather-trimmed hidden zip pockets at the chest and waist, and hidden zip cuffs. Fully lined, the jacket is available online now.